The Bronx, Queens, or the island of Sta'en. . ."
On Monday evening I headed to New York City for a quick turnaround trip for work. When I left Atlanta it was 65 unseasonably warm and luscious degrees. Well, let me just tell you that it was not anywhere close to 65 degrees in New York. My coat was not warm enough for the weather which automatically took two notches off of my cool factor, which had already dropped four notches by the mere fact that I was a non-New Yorker in New York. But that's cool. On Tuesday morning, I completed my commitment by 11 a.m. and had time to enjoy a nice lunch in the Rockefeller Center before my flight out. I was all alone in this incredibly crowded, hustly bustly city, which was really kind of fun considering I got to do one of my fave, fave things: People watch! 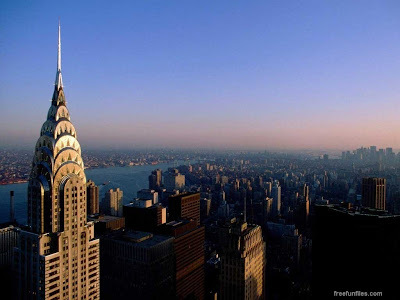 And so. . . .
All that people and hustle-bustle watching led me to this week's edition of the Thursday Top Ten--the top ten things I observed during my New York minute spent in Manha'an! Everybody is in a sho' nuff hurry, and they ain't even lookin' for your down south "hey y'alls" or your warm and fuzzy eye contact. In fact you can look someone straight into the face, smile all cheery and say, "Good morning, sir!" and be met with painfully obvious indifference. Wait--worse than indifference--they don't even realize you're there. The dudes in manha'an believe in wearing these super-fitted slim-look suits. I'm sayin'. . .these suits look painted on, man. Very Rachel Zoe project. Chic, yes, but I have a fundamental issue with any dude who has a waist smaller than mine. I'm just sayin'. I am so pulling it back out! Felt like paparazzi while taking these. . .
. . .and especially this one! A dude WILL get him a shoe shine in Manha'an. I have never seen more folks getting their shoes shined in my life! My husband, who is quite shoe-shiney, would do well with this aspect of NYC. Snow don't stop no show. At all. A Cole Haan-ier Cole Haan. Everything feels fancier in New York. Banana Republic feels Banana Republic-ier and even PayLess seems inviting. Put on 50th street and fuggeddaboudit. It's automatically shmoov. And speaking of shmoov. . . . .why is it that flats look flier on New York City girls than on Atlanta-based girls like me? Like, for me, a flat shoe adds at least five pounds. I have decided that if that flat shoe is paired with a messenger bag, a faux fur hat and this season's Burberry scarf, and it is all worn while scurrying down into the nearest subway station, you automatically score at least twenty cool points. People in New York City really dig fresh flowers. This part, I really like about New York City. I like this whole process of hollering at a barista to give you a red eye with an extra shot, screaming at him for getting it wrong--"Hey, what are you some kind of moron?" --but then, while waiting for barista to get it right, smelling the lovely bouquet of fresh cut flowers that you just picked up next to the newspaper stand. I liked this dichotomy--kind of like the way sweet and salty go well together. wait for it. . .wait for it. . .
As long as you don't talk at all to a person in Manha'an, you can share their personal space at the tiniest of tables. I bought my lunch and entered this ginormous sea of people in the Rockefeller Center, all filling every single table in sight. I walk around scanning the spot, and finally notice a young woman at a teenie-tiny bistro table eating a croissant and playing with her iPhone 4. I remember the rules of seating arrangements in NYC (remember the booth-sharing incident of NYC in 2010?) I smile big and wide 'cause I know the drill. I sit down, right, right across from this lady at a miniscule bistro table. I am smart enough to not utter one word. I decide in that moment that so long as you don't talk or make pleasantries, in New York City you can damn near sit on someone's lap without them even noticing. What's the deal with them selling Pepsi all over the place? Blasphemy, I tell you! In Atlanta, it takes an act of God to find a Pepsi product within a fifty mile radius of the city. I mean this is the Coca Cola mecca, after all. I was SO happy to get on that plane and finally enjoy a nice, cold Diet Coke in a frosty silver can! I love reading your Thursday Top 10 posts, or Friday Top 10 for me. :) I don't think I could handle the unfriendliness (for want of a better word) and the crowds - central Auckland (we say 'going into town') seems busy to me, and New York always looks heinously hustle and bustle-ey on the movies and TV (too much ANTM watching). :) And what's this "Ga' haad."? I honestly can't tell the difference between American accents unless it's an incredibly thick Southern one. Nor can I tell the difference between Coke and Pepsi and supermarket cola fizzy drink. Love it. Another amazing,charming truism from Grady Doc. And the photos! They compliment the story so well. You are so right about the stores. I felt like Duane Reede (drugstore we don't have in Cal) was so exotic. Same fluorescent lights felt positively elegant. And flats! Won't be caught dead in them but somehow in NYC they are cool. I guess I am cooler than I thought because I love flats. 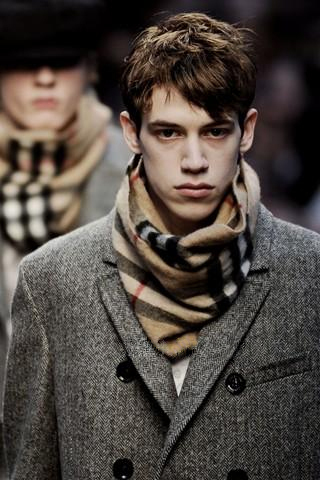 I am off to buy a Burberry scarf and a faux fur hat and I'll be NYCityfied. Thanks for your observations. I would have struck up a conversation with you in a heartbeat! Great post : ) Nothing beats a cold diet coke! have a great weekend!! Thank you for this blog! I'm currently in Cameroon serving as a Peace Corps volunteer and even the knock-off Burberry scarf is alive and well here. Village mamas wrap them around their necks and even the moto men pull them a little tighter when it's "chilly." (Chilly being anything less than 75 degrees!) Who knew? "Mine eyes have seen the coming. . . . ."
Lift ev'ry voice and shout hallelujah. Weight, Weight, Don't Tell Me. Just another day at Grady. The Puppy Mafia strikes again.